Hacking has always been shown on screens as a nerdy geeky character sitting on computer screens and pressing a button and kaboom! The computer network at the opposite end which in all probability is an FBI server is hacked. Hacking always generates glamor and mystery and adds that special oomph factor to the movie or TV show. But rarely has any movie director shown the skillful art of hacking in the right perspective. It is because, behind every hack, there is this banal and routine work of finding the vulnerability and exploiting it and this may take days and sometimes weeks for even a good hacker. With technology becoming the center point of human lives, hacking which was often relegated to a single scene in the climax of an action adventure movie or TV show is now often finding a place in the central plot. In fact, many new movies and TV shows have hacking has the main plot with human melodrama relegated to the subplot. TV shows have more options of showing hackers and hacking in right perspective as they have ample screen time compared to movies which have to cramp everything up in the 2 hours of runtime. In this article, we bring out the top TV shows which have hacking as the central theme and try to picture hackers and the glamorous art of hacking in the right perspective. Mr.Robot has become a cult TV show for millions of its followers. “Mr. Robot” is probably the first TV show that accurately portrays an elite hacker group that uses computers, mobile devices, different technologies, programming and social engineering to penetrate secure networks and take down evil corporations, all the while trying to remain anonymous. It shows code being written in Python, IRC chats and Raspberry PI computers, just to name a few. 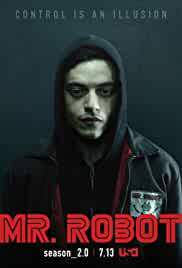 The TV show follows that life of Elliot, a young programmer working as a cyber-security engineer by day, and a vigilante hacker by night. The second TV show on our top list is The IT Crowd. Though The IT Crowd is not a proper hacking oriented TV show like Mr.Robot, it has its own moments of hacks. The IT Crowd was very popular among viewers and had a successful run for 8 years from 2006 to 2013. 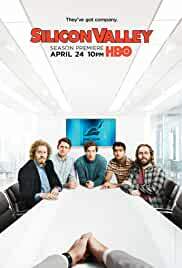 The TV follows comedic capers of a rag-tag group of technical support workers at a large corporation. Silicon Valley has more to do with boardroom battles in the tech world rather than hacking. However, it does portray the tech and hacking correctly with a bit of comic touch. The serial shows the high-tech gold rush of modern Silicon Valley and the cut-throat competition techies face. In the TV show, the people most qualified to succeed are shown as least successful and underdogs without any qualifications making it big. The TV show started in 2014 and is till going strong after a run of 3 years. 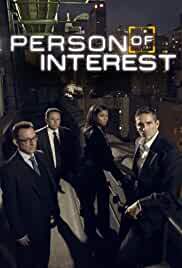 Person of Interest takes a place in our top list because it has Artificial Intelligence as the central plot. The TV shows the protagonist, an ex-assassin and a wealthy programmer who uses AI to save lives. The TV show shows a vast array of AI network that lists the upcoming crimes and criminals deduced through machine learning technique. However, the details of the crimes–including the civilians’ roles–are left a mystery. 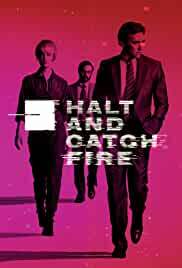 Halt and Catch Fire has been running successfully since 2014 and portrays the tech crowd from 1980. The TV show captures the exact office ongoings in those early years of PCs through the eyes of a visionary inventor ala Steve Jobs. 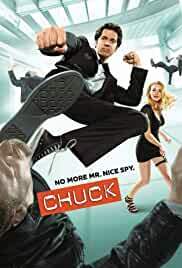 Chuck follows a mainstream plot of a hacker downloading a top secret document and it ruining his life. The TV show was quite popular and ran from 2007 to 2012. The TV show captures the life of a 20-year-old hacker and nerd who inadvertently downloads US government secrets into his brain. The serial explores his life even CIA and NSA agents protect him and at the same time exploit him. At number 8 is CSI : Cyber which captures the hacker world beautifully. The TV serial ended its run in 2016 and was thought to continue but the producers have pulled the plug. 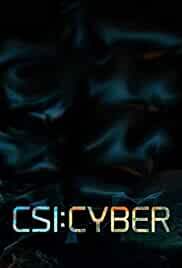 CSI : Cyber follows the life of FBI special agent Avery Ryan works to solve crimes as a cyber-psychologist. The serial brings out several plots and twists as Ryan tries to map the brain of hackers and cyber criminals. I’m trying to find one I started to watch a few years ago but forgot the name. It’s proving harder to find that I thought. IIRC, the show was about a special task force that handled internet based crimes. I only saw a few episodes before I got distracted and forgot about it. Any ideas what it is? Hmm, it didn’t take my comment. Well anyway, I asked a question about a show that I thought wasn’t listed, but as it turns out, it was in fact CSI Cyber, which unfortunately, seems to be cancelled.